The Source has been a newspaper of general circulation publishing continuously, with no interruptions since 1999. An average 80,000 to 90,000 loyal readers per month come to the site as Unique Visitors. 50+% of our readers visit multiple pages and 79% return to the Source within 24 hours. 30% of our readers demonstrate their loyalty by returning to the site 2-3 times in the same day. 34% are new visitors to the website, 66% are returning visitors to the website. 50% of our readers access the Source by phone or tablet. 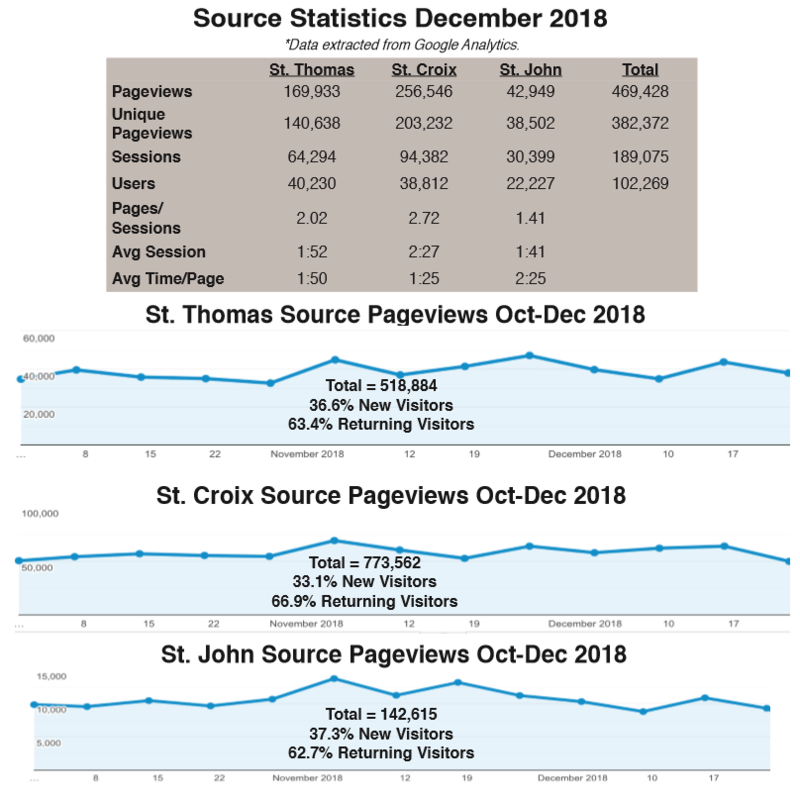 Advertisers experience 24/7/365 visibility on the USVI’s most respected and credible news source. Advertisements earn 100,000s of individual impressions. Fast, dependable and customer-service oriented, the Source can get your advertisement up and running within forty eight hours or less of receiving approved copy. YOUR AD MESSAGES ARE FEATURED ON THE ISLANDS’ MOST TRUSTED NEWS SOURCE. AND THEY ARE SEEN AND READ. 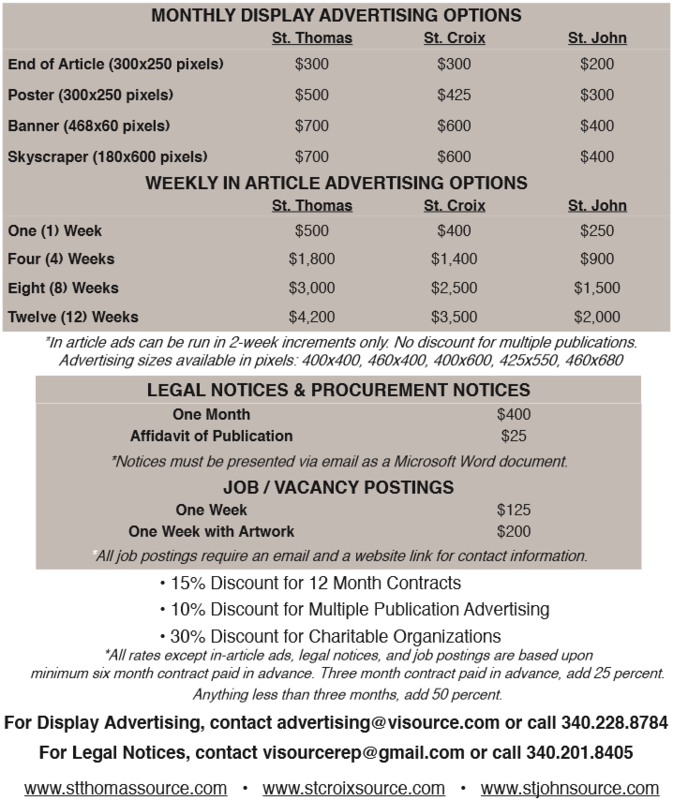 Call Today and place your ad in the VI Source.